Beautiful 3 bedroom 2 bath home in the sought after community of Sandoval. Home is in immaculate condition, Tile throughout main area, carpet in bedrooms, Open Large kitchen with Granite Counter Tops, Upgraded 42" Cabinets with 3" Crown Molding, Stainless Steel Appliances, Pantry, Large Master Bedroom with His & Hers walk-in closets, Master Bath has Granite Vanities and a Garden Tub, Wired multi-media outlets to support 2 data & 2 video outlets, Whole house Surge Protector, Garage floor is tiled with Modular Garage Floor Tiles, Screened Front Entry, Beautifully Landscaped. 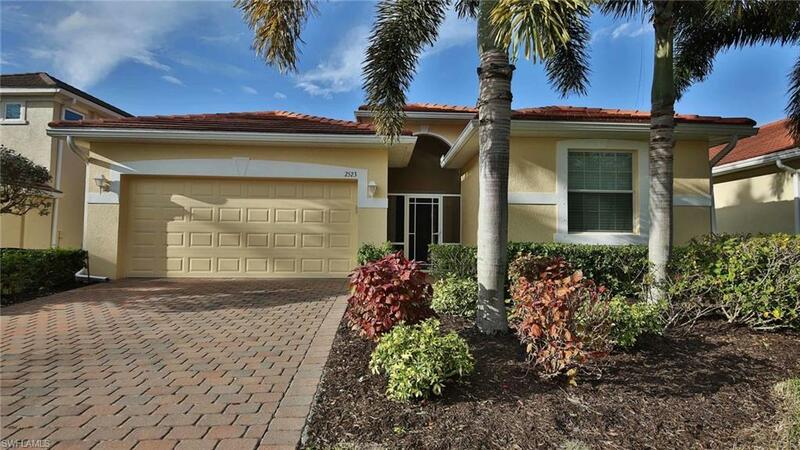 Outside of home painted in December 2018, Low HOA fee includes Internet, TV, phone land line, Enjoy the abundance of Amenities that Sandoval has to offer that include Clubhouse, Resort Style Pool, Water slide, Bocci ball, Tennis, Playground, 2 Dog Parks, Numerous fishing lakes, Exercise Room and miles of Walking/Bike Paths.